Prezident Brown (Fitz Cotterell) was born in the hills of Clarendon, Jamaica. His mother called him Junior Ranking because he would grab the microphone and chant at schoolyard and country dances. He was first known as Slim Brown because of his resemblance to and similar DJ style to his mentor, U Brown. The most formative influence on Prezident Brown was producer and sound system operator Jack Ruby. Ruby saw something special in young Slim Brown; he took Slim Brown under his wing, re-named him Prezident Brown and appointed him resident M.C. of his Hi-Power Sound System, traveling worldwide. After the sound system era changed following Jack Ruby’s death in 1989, he began recording with Grove Music, who later founded Irie FM in Jamaica. After that, he recorded with Roof International, Courtney Cole’s label. Eventually it was Barry O’Hare’s label, X-Rated (now World of Music,) that provided a home base for Prezident Brown and helped launch his career in Europe. X-Rated took off just as a massive roots revival swept across Jamaica, washing gun and slackness lyrics out of the dance halls, paving the way for conscious reggae music. Of course Prezident Brown was bound to rise in that kind of climate. He is a champion in the new roots and reality consciousness. Prezident Brown entertains, informs and inspires. His message is pure rasta conscious vibes. By 1995, he flooded the market from all sides, he was freelancing without a break. He was bringing out boom-tunes on the X-Rated label, among others like Digital B, Black Scorpio, Mango and Star Trail. He recorded the song, “Blow Your Nose,” with Everton Blender, (an artist, with whom, he has toured Africa and Europe.) Prezident Brown also recorded on Tony Rebel’s Flames label. (It should be noted that his style is frequently liken to that of Rebel’s.) Prezident was also featured in the song, “Black And Proud,” on the Steel Pulse album Rage And Fury. He has recorded with numerous other reggae legends as well. Barry O’Hare’s X-rated label produced two albums, Big Bad and Talented and Prezident Selections, (distributed on the Runn label.) After a third album, Original Blueprint, (produced by Digital B, now licensed by VP Records) he continued t release singles. 1996 he signed a lucrative 5 album artist deal with Island Records, which didn’t work in his favor. He then made the timeless To Jah Only album with the highly regarded Ocho Rios label, Kariang, in 1998. At the turn of the millenium he worked with German based label Chet Records and released the album Generation Next which is distributed by Sony Germany. “Unleash the Lion”, A 46 show tour in the summer of 2002 with the Orchestra of Judah put together by Jahmani Productions took Prezident Brown all over the United States, including performances at The Sierra Nevada World Music Festival and Reggae On The River. Also, Jahmani Productions released Showcase Volumes 1 and 2 that year with Showcase Volume 3 following in 2003. Prezident has since done repeat performances at both festivals and has added may other prestigious ones to his list such as the Sierra Nevada World Music Festival in 2008. Prezident Brown continues to perform worldwide, recent performances include Israel and Paris in February of 2009. Prezident Brown has been very well received in the United States and is building a large fan base, and as a champion of the new roots and reality consciousness reggae movement he entertains, informs and inspires. Prezident Brown’s music speaks a universal language. 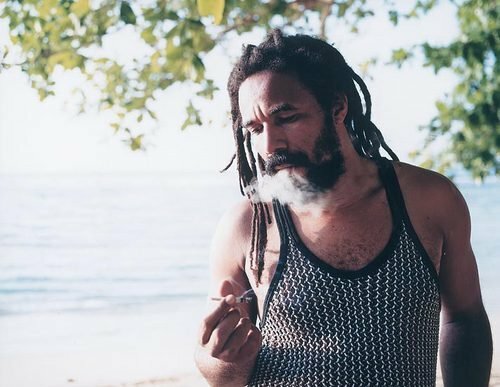 All of his albums and singles will remain timelessly beautiful and his fourth album, To Jah Only, features one of the most spiritually devoted songs in reggae history, “To Jah Only.” His music is echoed overseas and his talent is unequivocal. All of his albums are a must for anyone who loves reggae music. Prezident Brown is an artist driven by a sense of mission and purpose which dictates that he “edutains” (heightens the consciousness of a people) as much as entertains. Prezident Brown is eminently qualified for the role in which he is seen as a vessel from which flows the healing effect of his musical staple. to his mentor, U Brown. The most formative influence on Prezident Brown was producer and sound system operator Jack Ruby. Ruby saw something special in young Slim Brown; he took Slim Brown under his wing, re-named him Prezident Brown and appointed him resident M.C. of his Hi-Power Sound System, traveling worldwide.